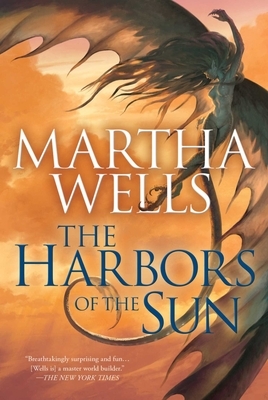 Martha Wells is the author of more than a dozen science fiction and fantasy novels, including the Ile-Rien series (The Death of the Necromancer) and the Books of the Raksura (The Cloud Roads). Her work has been nominated for the Nebula and Compton Crook awards and published in seven languages. Wells lives in College Station, Texas. “An incredibly layered and intricate world with realistic characters. . . . The series as a whole deserves all the accolades it has received and more, and The Harbors of the Sun acts as a lovely and fitting final book in the series.”—Strange Horizons, reviewed by Na’amen Gobert Tilahun, author of The Root and The Tree.